Dadoes are used everywhere; from case construction to drawer boxes. Learning to set up and use a dado head will go a long way toward expanding your joinery techniques. 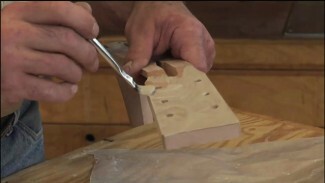 This class will give you the ins and outs of setting up the dado head and safely making cuts. A dado head consists of two rim blades, used on the outside of the stack, and chipper blades, which build up the thickness of the dado head. Just in case the chippers don’t get you to the perfect width you need you should also have dado shims on hand. Dado shims run from .002″ to .030″ thick and will allow you to customize the size of the head for any dado you need.Your set ups will be a lot easier if you make a dado test board. Make this by cutting a series of progressively larger dadoes in a piece of plywood. Bar stock (also called gauge bars or set up bars) makes setting depth of cut much easier than measuring with a ruler. You can purchase a set at woodworking specialty stores. 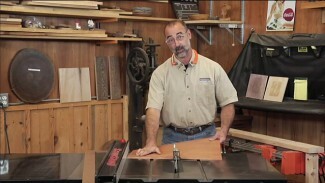 Your standard table saw insert won’t work with a dado head. 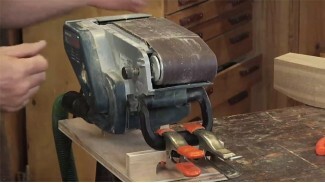 You’ll need a dado insert for the saw in order to use a dado head. In order to keep your pinkies away from the blade you’ll need a push pad to guide the material through the cut. To gauge how wide the dado head has to be for good cuts, test your material in the shop-made dado width gauge. Once you know how big the dado head needs to be, start building up the head (with the saw unplugged). Be sure you pay attention to the left and right rim blades, and make sure you don’t have carbide-to-carbide or carbide-to-steel contact anywhere. Before tightening the arbor nut, double check the set up to make sure all the teeth are clear. If using the arbor washer doesn’t allow you to fully thread the arbor nut, leave the washer off. Tighten the dado head. Set the height of the dado head to 1/4″, 1/3 the thickness of the 3/4″ material. For the test cut, position the fence 2″ from the blade. Plug your saw back in. Use the push pad to maintain down pressure on the test board and cut a dado. Check the fit of the dado. 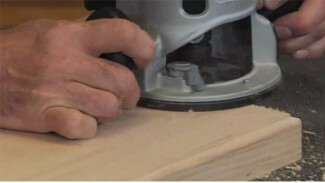 Place the 1/4″ bar stock in the dado and see if it’s flush with the surface. If not, increase or decrease the depth of cut of the head. Test your material in the dado. When the dado is a perfect fit you’ll be able to slip the material into the dado (you should not have to drive it in) and, once the material is in the dado there should be enough “grab” between the pieces that they’ll stay together. If the dado is slightly too large or small you’ll need to use dado shims to adjust the cut.